Description:This photograph was taken from the entrance to Piccadilly Arcade looking west along Trinity Street. 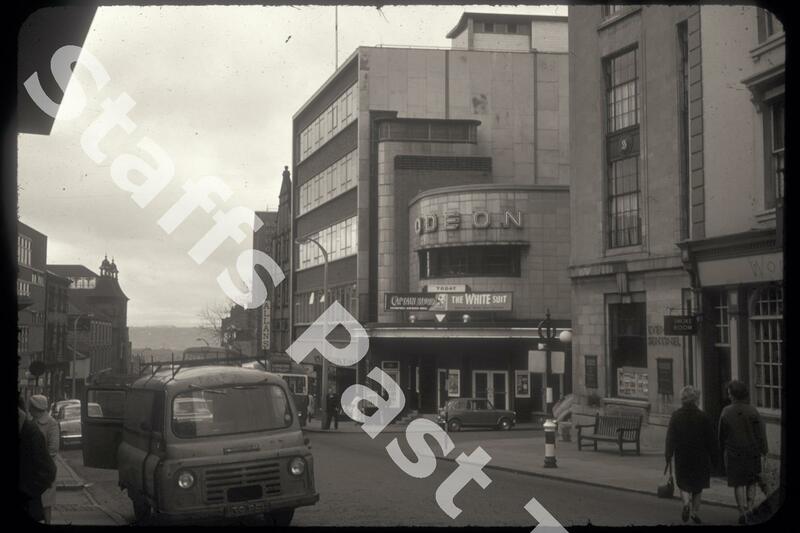 The Art Deco style Odeon Cinema stood on the corner of Lower Foundry Street. 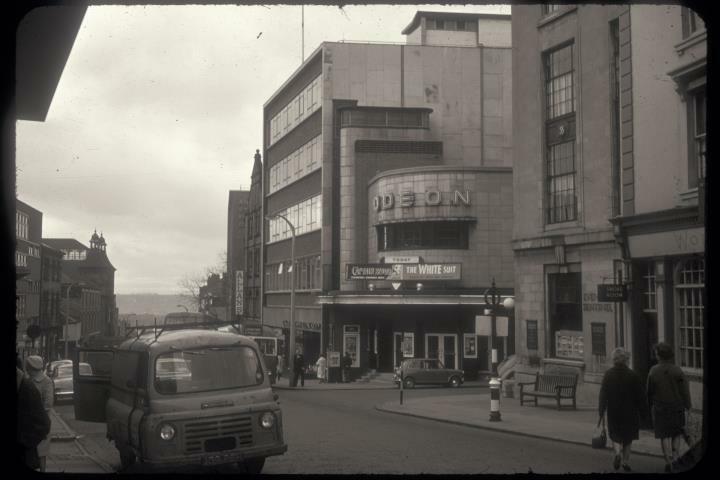 Opened in 1938, this was one of the first cinemas in the Odeon chain. When it was built, there wasn't a taller building next door so that the "Slender Moderne" style fin stood out as a tower. The auditorium could seat over 1500 and extended along Lower Foundry Street. Closed in 1975, the building has had a variety of uses from storage to cafe to bar and night club. This side of Lower Foundry Street stand the old Evening Sentinel offices, established here in the 1840s. On the left hand edge are the turrets of the former telephone exchange on the corner of Trinity Street and Marsh Street.